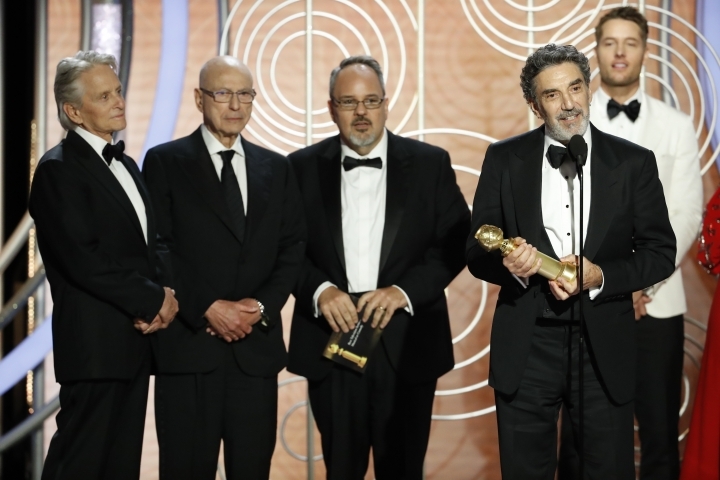 PASADENA, Calif. — If there is a high point to Netflix's status as the "cool kids" taking over television, it may be remembered as an emotional Chuck Lorre accepting a best comedy Golden Globe last month for "The Kominsky Method," his show on the streaming service. Even with ratings a fraction of what they were in the glory days of monopoly, the broadcast networks say their chief advantage is the opportunity to offer creators a large audience. 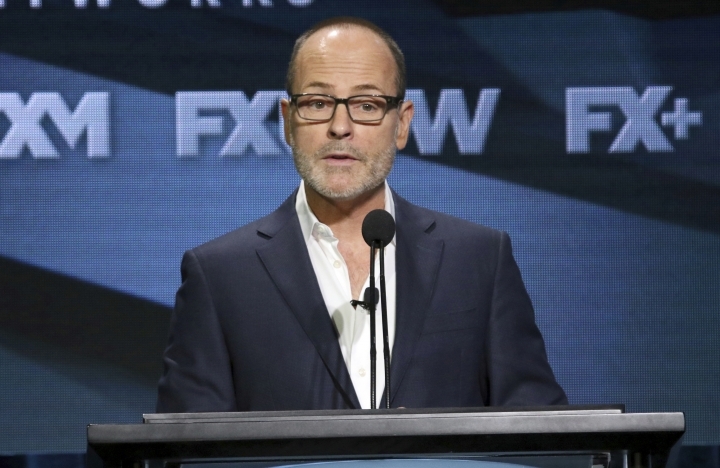 Networks are still the only distribution system capable of delivering a perfect picture to virtually every home in America, said John Landgraf, FX Networks chief. While network execs are jealous when streamed shows scoop up awards, "my family has never heard of them," NBC's Cheeks said. Networks are arguing to creators lured by a less restrictive environment at Netflix that they risk getting lost in an ocean of content. The streaming service offered a staggering 500-plus original shows last year, according to estimates. "The sheer volume that they take on has made it more difficult for networks and cable to compete," said Karey Burke, ABC's new entertainment president. "But, to be honest, I have noticed in probably the last year a trend away from my friends who are creators from being part of that volume. I think that what networks can offer in terms of our ability to market a show, to launch a show, to schedule a show so that it will get seen, is a value that still holds." 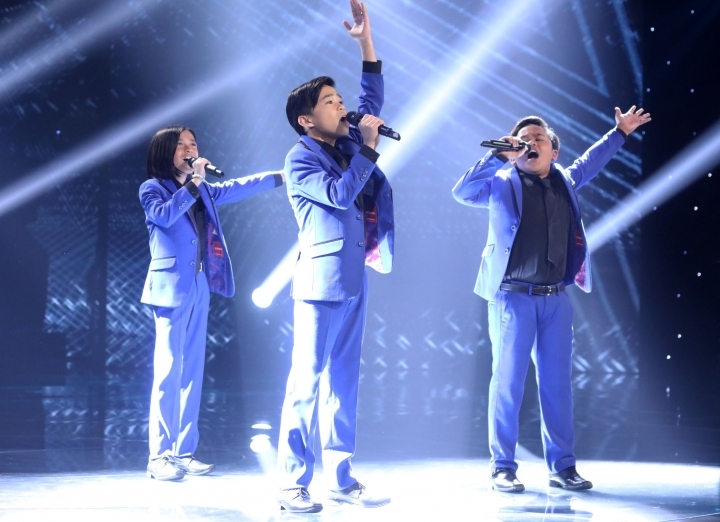 The most extreme example of that advantage was when CBS debuted its new talent show, "The World's Best," directly after the Super Bowl and it was seen by 22 million people. TV executives point out that Netflix rarely releases verifiable tallies of how many people watch their shows. Netflix did not respond to a request for comment. The broadcasters' underlying message: the streaming giant has plenty of failures, too. "If you want a large communal experience, if you ... have a passion project that you hope pierces popular culture, where do you think that can be done best?" asked Charlie Collier, Fox entertainment chief. Unlike the streamers, broadcast shows are "there week in and week out and a lot of producers like that feedback, they like being in front of the audience every weekend," said Kelly Kahl, CBS entertainment president. "And they like that manner of storytelling where they bring you something new every week. I'm not just going to drop in your lap in one weekend." Networks are becoming more flexible in response to producers' expectations as shaped by streaming services, whose seasons are shorter than the 22 or so episodes on network TV. Producers may sing Netflix's praises but the smart ones — Lorre included — aren't ready to write the networks off. "I've never had a prejudice against broadcast television," said Tom Fontana, executive producer of NBC's acclaimed 1990s drama "Homicide: Life on the Street and HBO's "Oz." ''It's like writing a haiku vs. an epic poem. I have stories to tell, and whoever wants to listen, I'll tell them." For all the public bullishness, network executives know they need to experiment. ABC this spring will show the NFL draft for the first time, focusing on athletes whose lives will change. It will air more episodes of "American Idol" live. CBS often brings Stephen Colbert in live after special events. Fox will start airing professional wrestling. While CBS is still in business with name-brand talent, the competition created by streaming services "forces us to look at new talent," Kahl said. "I don't think that's a bad thing. It could be good for us." CBS, home to "NCIS" and other traditional action dramas, is stretching this season with a limited series, "The Red Line," that tackles a police shooting gone wrong and its complex aftermath, and whose producers include filmmaker Ava DuVernay ("Selma"). 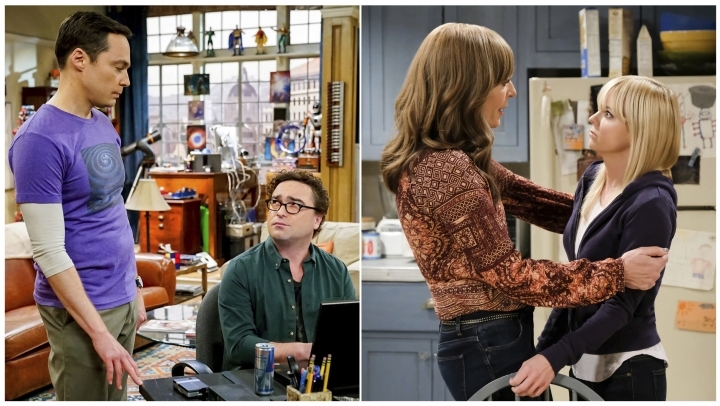 To put a gloss on even standard scripted fare, there are heavily promoted "cross-over" episodes for sibling series such as NBC's "Chicago" dramas and CBS' "NCIS" spinoffs. For "This Is Us," NBC juices viewers' emotional investment in the family drama with an online "aftershow" in which cast members dissect key plot points. "The idea of having a weekly appointment where you're having a community with your friends while you're tweeting and texting while you're watching something together and you're talking about it the next day, that's still the provenance of network television," Burke said. Networks also sell an infrastructure built over decades, of morning shows and late-night talk shows, of ties to communities through local anchors, of a myriad of opportunities. Telegdy said that when "The Voice" coach Kelly Clarkson wanted to try something new, NBC had a syndicated arm that is allowing her to start a new talk show. Networks, of course, are far from islands. They are integral parts of media giants such as Disney and Comcast that both rely on their products and bolster them. NBC is among the broadcast networks whose parent companies are among the joint owners of the Hulu streaming service. CBS has launched its own streaming platform. Cheeks said he may get an unsettling answer when he's back home in Cleveland for a visit and his friends' kids ask where he works ("What's NBC? "), but he discovers they're watching Jimmy Fallon's "The Tonight Show" on YouTube and streaming "Saturday Night Live." "The way people are watching is different and the way we try to find them has to be different," Kahl said. Bauder is on Twitter at @dbauder. Elber can be reached at lelber@ap.org and Twitter at @lynnelber.